Adam: Chris, everywhere I go to look for information on tenkara, you are there… What’s up with that? Chris: I'm passionate about tenkara. Over the years I've joined quite a few forums, and when I see a question about tenkara I try to answer it. I think that other than on the Tenkara USA forum, I've only started three threads on tenkara, though. Once shortly after I first learned about it, to ask for myself "anybody out there try tenkara?" then a year later I posted a "follow-up" comment, and I kicked off the tenkara section at smallstreams.com. Other than that I only post to try to answer questions. Even then, sometimes only after there have been a few snide or misleading comments. I've only joined one forum specifically to make a tenkara comment, and that was to ask a question about a particular technique. Adam: From my own investigation into the discipline (style) of tenkara, there are primarily a few ways that people find out about it. Chris: In the spring of 2007 I first saw a picture of a soft hackle fly in the North Country style (just a turn of partridge hackle and a thread body). I was absolutely struck by the simplicity and the almost austere beauty of the fly. I tried to learn as much as I could about soft hackles and how to fish them, and soon learned that to get the most out of them I'd need a longer rod than my 8 footer. The long rod of choice that summer seemed to be a 10' Sage Z-axis, and I just couldn't afford one. In my research on soft hackles, I'd seen David Webster's book "The Angler and the Loop Rod." A loop rod is similar to a tenkara rod in that it has no reel and the line is tied to the rod tip. Webster was a professional angler, and had to catch fish to earn a living. Reels had been in widespread use for decades, yet he chose a 13' rod with the line tied to the tip. I figured if it would work for him it would work for me and that summer I got a 13' telescopic fiberglass crappie pole. It was horrible. I then got a 12' graphite crappie rod (with guides and a reel seat, but I still tied the line to the rod tip). That worked reasonably well. Sometime in the fall of 2007 I first came across tenkara on the internet - and I think it must have been when researching the horsehair lines that were used with loop rods. Ancient tenkara rods also used horsehair, so I think that is how I found the first tenkara site. 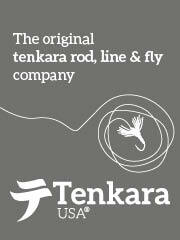 There was a lot more information about tenkara than about loop rods, and the equipment is modern, light weight and convenient to carry. I immediately switched my research from loop rods to tenkara. I got a second hand tenkara rod in early 2008 and it's been downhill from there. Now I'm a (tenkara) bum. Adam: Wow, I came to it totally different. When I was young, I started out with a cane pole for bream (sunfish) and catfish. I would often take a cricket or grasshopper that I caught in the grass rustling around the stream and thread it on a hook, no weight or quill and just fly line it in there. The tip isn’t so supple on a cane pole but you can get a cast with it. 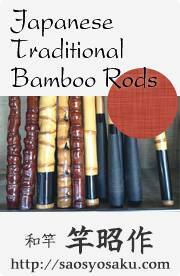 As a bamboo rod maker, I started to think, “hey, I can make a pretty cool split cane pole for the same thing.” And a friend/maker, Tom Smithwick saw my interest and pointed me to Daniel at TenkaraUSA and the rest is what you read here. Chris: Well, first, on the glorified cane pole fishing, it depends on whether the person saying that has a sneer on his face or a twinkle in his eye. Tenkara has all the simplicity of a cane pole, but you can do things with a tenkara rod that you couldn't even dream of with a cane pole. Generally, though, it's said as a put down, by someone who has never fished with a tenkara rod and is trying to end the discussion rather than further it. Americans come to tenkara by many different paths and with many different goals. 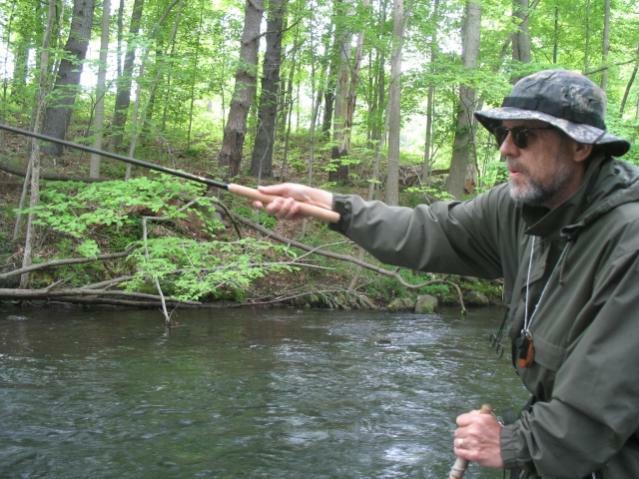 I think a lot of flyfishermen see a tenkara rod as a good tool for Czech nymphing. 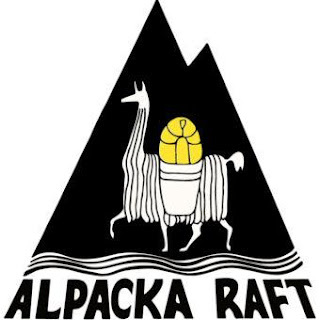 Backpackers see it as a way to save the weight of a reel and line. 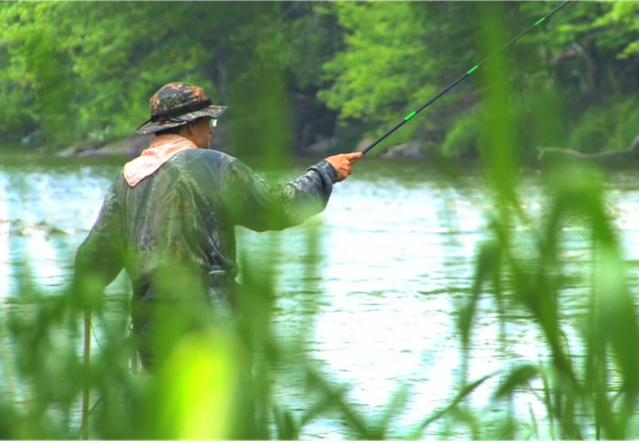 A lot of people see the simplicity as a step back from the gadgets and glitz that seems to have taken over fly fishing. A few of them (and maybe a lot more than I realize) even try to delve into the techniques and and type of fishing that shaped the development of the rods we now use. Chris: Adam, I've known that for some time. Don't worry about it. I almost always fish alone. Occasionally I'll take someone who wants to try tenkara but most of the time I fish alone. Chris: No, I just take water. Everything I have with me I have to carry all day, and if I took a flask I'd just have to take even more water to keep from getting dehydrated. Adam: I’m not a boozer (I am a fisherman, therefore I lie) but I do enjoy a drink now and then, it helps me to calm my nerves (sleep) But what is most important for me is really to find a cool place in the grass and take a little nap. I’ve got spots marked out for that and I’m going to get more back to that this year. As a matter of fact, all of my backpacking kit is ready and I plan to do some overnighters on stream. Chris: I just do day trips. I sold my car towards the end of last season, so now I take the subway to Grand Central and then take the commuter trains out to some of the streams in the New York City suburbs. The only hiking I do is from the train station to the stream. And that poses a dilemma I'll face this year. My favorite stream is a four mile hike from the nearest train station. How far are you willing to hike to get to a stream everyone else can drive to? Adam: Impressive. I’ve been to Japan in the 80’s. At the time, I was a fisher but my main interest was surfing and hang gliding. The Japanese were very kind and welcoming to me. Without me being distracting with my own stories, do you have aspirations to visit Japan or have any thoughts on it’s fishers? Chris: I've never been to Japan and I would love to visit someday. The problem is that I don't want to just go for a week, I want to go for a couple years and learn tenkara from the masters. I now have friends that I met through tenkara, but other than Misako Ishimura who I met when Dr. Ishigaki gave his presentation the Catskills, none are Japanese. Adam: I don’t, yet, but I am looking. I use Google Translation to view the Japanese tenkara blogs and all I can say is that they are very much like American society of anglers. You have the young that are taking fishing in other directions and you have the older generation that is standing on tradition. Chris: It is a tradition that for me is a new direction. I have not been doing it long by any means, but I have been doing it long enough to have begun to realize that the equipment and the Japanese techniques evolved together. The rods are exquisitely suited to a particular style of fishing, and the more I tried to take it in new directions, the less suited it was. Adam: Is tenkara fly fishing? Chris: Funny you should ask that now, as I've just been thinking about that over the past few days. A week ago I would have said "yes" without a moment's thought. Today I'll say that tenkara is a style within the greater definition of fly fishing. Tenkara, Czech nymphing, Spey casting fore example - they are all fly fishing, but they are all very different disciplines in my view. Adam: I have written my interview in it’s entirety so I don’t know how you answered this. I have an idea of how you will respond but I don’t know you having never meet you. 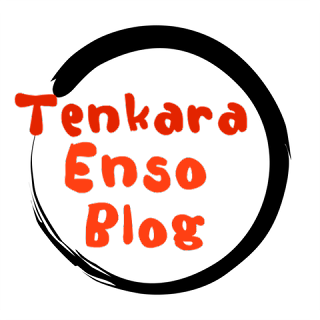 I know that we meet on tenkaraUSA’s web forum where I know I came on strong. I don’t feel that I came on strong but over all, that is certainly the impression. I know what I know about fishing and am secure in the fact that I am broad spectrum in my outlook. I have seen kids in Mexico using a Coke can as a spool and a spark plug as a weight twirling a meat bait hook and slinging, let gooo o oo o… The memory is of fishers fishing for a meal. Chris: Oh, yes. At its core, fishing is and always has been a method of putting food on the table. I don't keep fish that often, and never more than one, but to completely remove the ability to eat your catch just cuts the heart out of fishing in my opinion. Others have different views, and that's fine with me. I don't give anyone grief for releasing a fish, and I certainly don't want anyone to give me grief for keeping a fish where it is legal to do so. Adam: I do every once in a while, it reminds me of why I am a fisherman. If I don’t eat my catch every once in a while, I don’t feel like a fisherman and I don’t really want to go fishing. 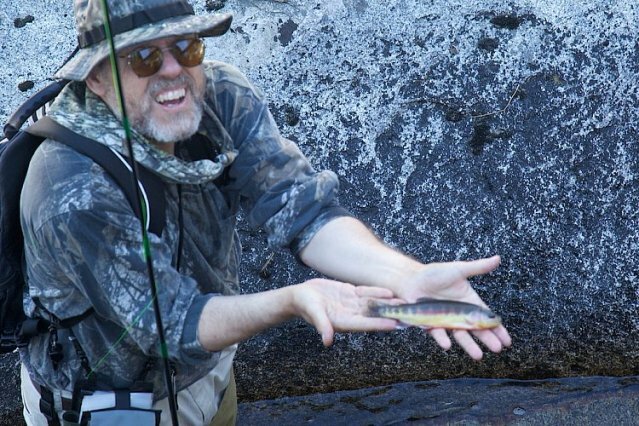 I don’t need to go fishing to enjoy the outdoors, I can go hiking for that, stream walking is nearly as fun as fishing a stream, catching fish is just icing on the cake. Anyway, I understand from reading your web site that you know Daniel (tenkaraUSA) and have done some work with him. In my own contact with him, purchasing rods, discussing tenkara on the phone and in e-mail, he is really a nice person. Chris: Very good friends and a very satisfied customer. No current or ongoing affiliation other than that. No commercial ties. It's all there in black and yellow on my website. Chris: Not that I can think of at this point. I'll post from time to time as I see something that I want to comment on. But as you said at the start - I tend to post everywhere (and maybe too much). I think on tenkara-fisher I'll spend more time reading and less time writing - I'll learn more that way. 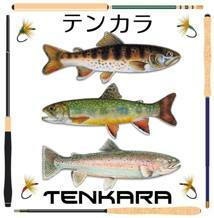 Adam: Thank you for your time here, at tenkara-fisher forums and at your own web site. I look forward to the day we are able to meet and perhaps do a little fishing.